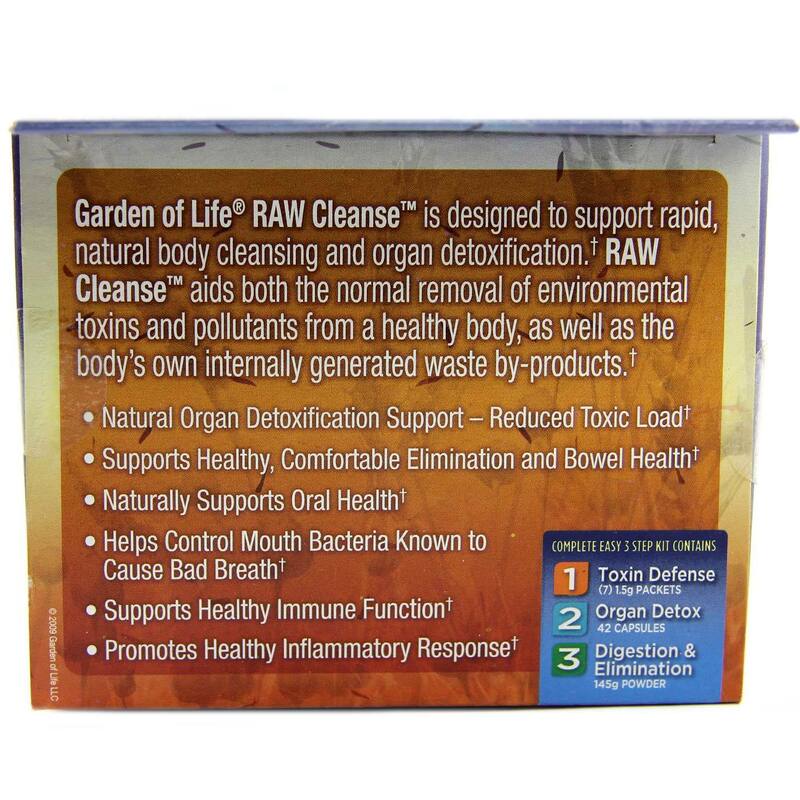 Toxins won't stand a chance when you make the choice to improve your digestive health and try Garden of Life's RAW Cleanse. 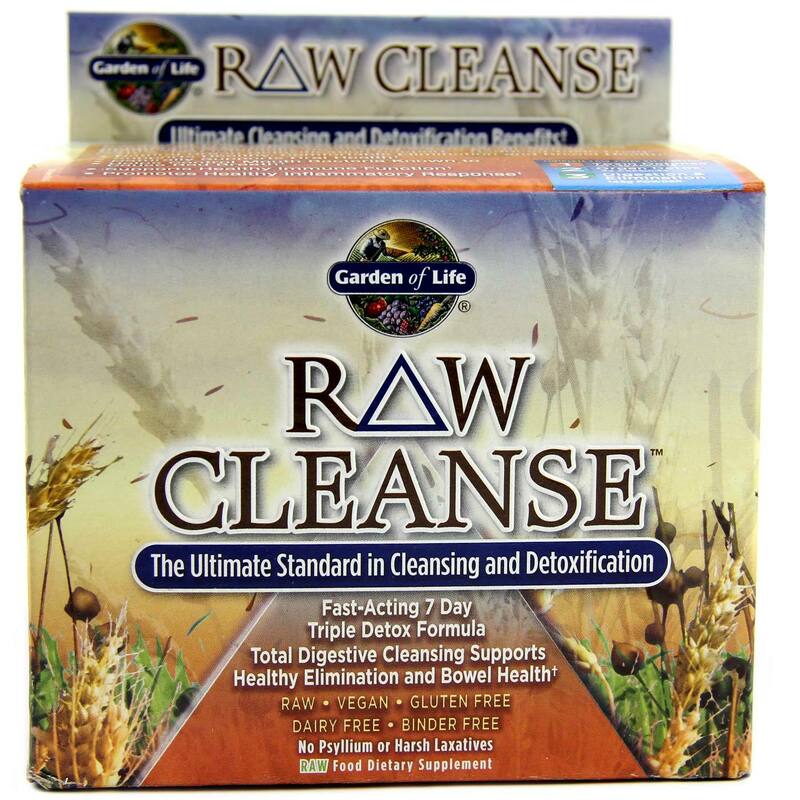 The ultimate standard for natural cleansing and detoxification, this triple step formula works throughout the entire digestive tract to eliminate toxins and other harmful substances. 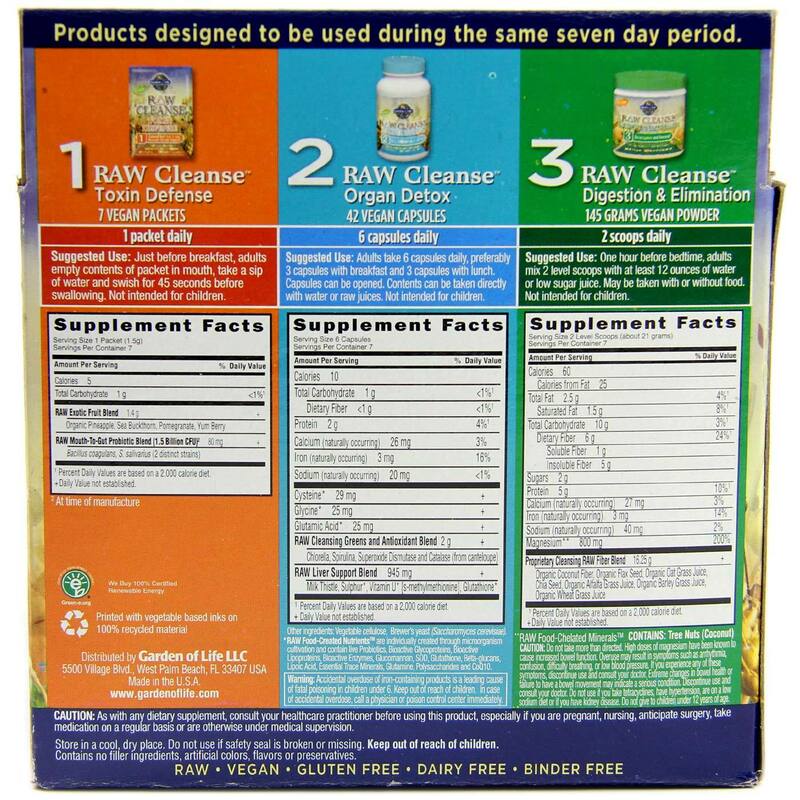 RAW Cleanse is comprised of cutting-edge, food-based ingredients that work naturally within the body to defend against damage and promote better intestinal health. 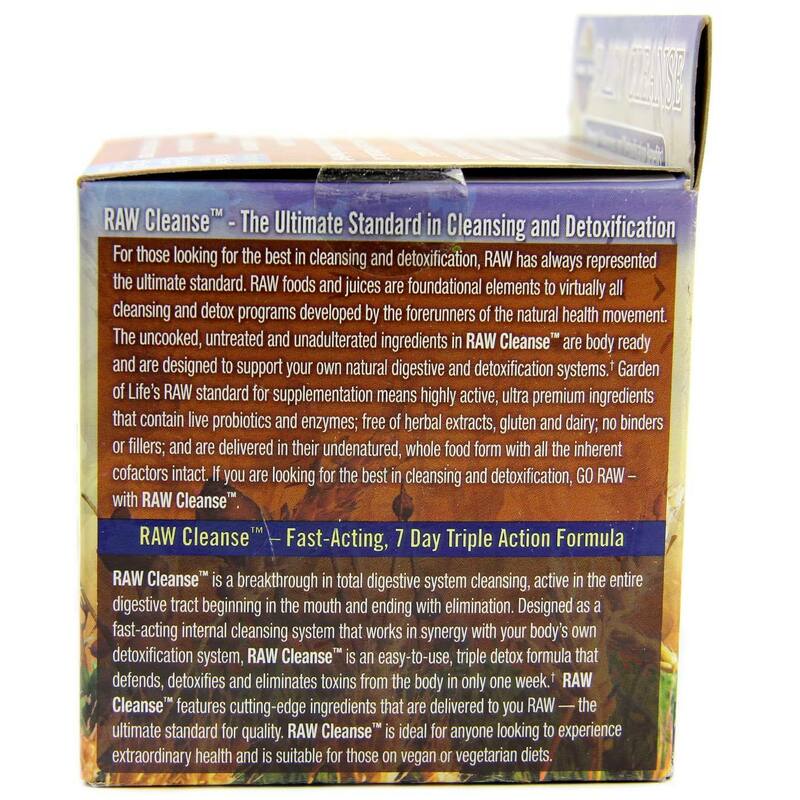 This fast-acting, comprehensive kit naturally supports your body's digestive system, working with it to purge unwanted substances and leave you healthier. It's designed to gently cleanse your system over a seven day period and is suitable for use by vegans and vegetarians. Start the journey to better digestive health today. Try Garden of Life's RAW Cleanse today at eVitamins. Advertências: As a dietary supplement, consult your health care practitioner before using this product, especially if you are pregnant, nursing, anticipate surgery, take medication on a regular basis or are otherwise under medical supervision. Accidental overdose of iron containing products is a leading cause of fatal poisoning in children under 6. Do not take more than directed. High dosage of magnesium have been known to cause increased bowel function. Overuse may result in symptoms such as arrhythmia, confusion, difficulty breathing or low blood pressure. If you experience any of these symptoms, discontinue use and consult your doctor. Extreme changes in bowel health or failure to have bowel movement may indicate a serious condition. Discontinue use and consult your doctor. Do not use if you are taking tetracyclines, have hypertension, are on low sodium diet or if you have kidney disease. Not intended for children. Do not give to children under 12 years of age. Notas: Raw, Vegan, Gluten Free, Dairy Free, No Soy Allergens, Binder Free, No Psyllium or Harsh Laxatives. Recomendações de uso: Toxin Defense: Just before breakfast, adults empty contents of packet in mouth, take a sip of water and swish for 45 seconds before swallowing. Organ Detox: Adults take 6 capsules daily, preferably 3 capsules with breakfast and 3 capsules with lunch. Capsules can be opened. Contents can be taken directly with water or raw juices. Digestion and Elimination: One hour before bedtime, adults mix 2 level scoops with at least 12 ounces of water or low sugar juice. May be taken with or without food.